PROCESSUM is a private company; founded in 2006 aimed at generating innovative solutions (methodologies and tools) through applied research, geared towards promoting the optimization of institutional management and the development of social sectors policies, specially policies for the health care sector..
PROCESSUM tackles complex problems using a multi-disciplinary approach and statistical, economic and epidemiological tools as well as information technology tools, generating highly efficient solutions at the leading edge of knowledge. In the health sector, at least 7 relevant markets interact generating an important variety of relationships and complex transactions. The market concentration, the contracting models’ incentives, the availability of the information and the regulations are some of the determinants that affect agent performance, market prices and the quality of the services that patients receive. There is where market and institutional analyses offer valuable information and instruments to guide decision making of pertinent market´s agents and to increase their efficiency. Increased incidence, late detection, severity, preventable deaths, the adoption of new health care technologies and the rising costs generated by the presence of diseases and injuries, are some of the risks that health care systems face, especially buyers and service administrators – government entities, insurance companies, health clinics and hospitals. One of the major constrains to achieve better health and financial outcomes is the uncertain nature of a disease and the understanding of the cause effect cascade that surrounds such outcomes. Therefore, the development of risk management methodologies and tools that reduce the likelihood of health risks are a powerful means to achieve the organization´s objectives. 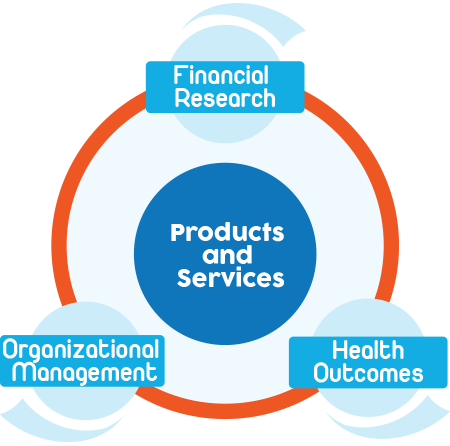 These methodologies and tools allow us to identify and assess the risks present among the population, to design intervention strategies that affect the care models and clinical management, to select technologies, contracting models, relationship models with users and to monitor the results of implementing health interventions. -Information management, where using innovative tools helps to consolidate scattered or discarded information, helps to track in real time and in depth the large amount of available information, to identify unexpected relationships among the different conditions of patients and clinical management, helps to improve the relationship channels with users, among others. -Process optimization. The adoption of processes that help incorporate a risk management approach, flexibility in respect of the environment, generate synergies among the work teams and guarantees consistently high quality standards. -Updating human talent. The fast generation of knowledge requires organizations to implement strategies that promote a rapid appropriation of this knowledge by their work teams in order to maintain their competitiveness in the sector. Our human talent is our most important asset. Respect and honesty mark all that we do. We maintain a commitment to quality. Social welfare is our ultimate goal.